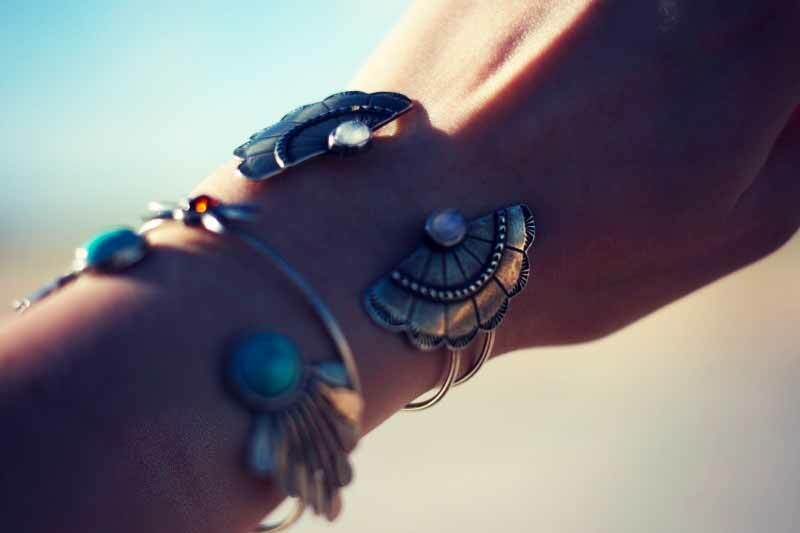 A Moroccan silver jewelry is made to last a long time, to be transmitted from generation to generation. It's good because the Moroccan Berber silver jewelry that offers "Babouche-Marc" are old. They come from Berber tribes. These "Chleuhs" in Morocco realize fascinating Berber silver jewelry associating in particular filigrees on silver plates and enamel partitioned. We have chosen for you a selection of these Moroccan Berber jewelry, handmade, from solid silver..
A Berber necklace, a Berber bracelet, or even Berber earrings will match perfectly with a western outfits.